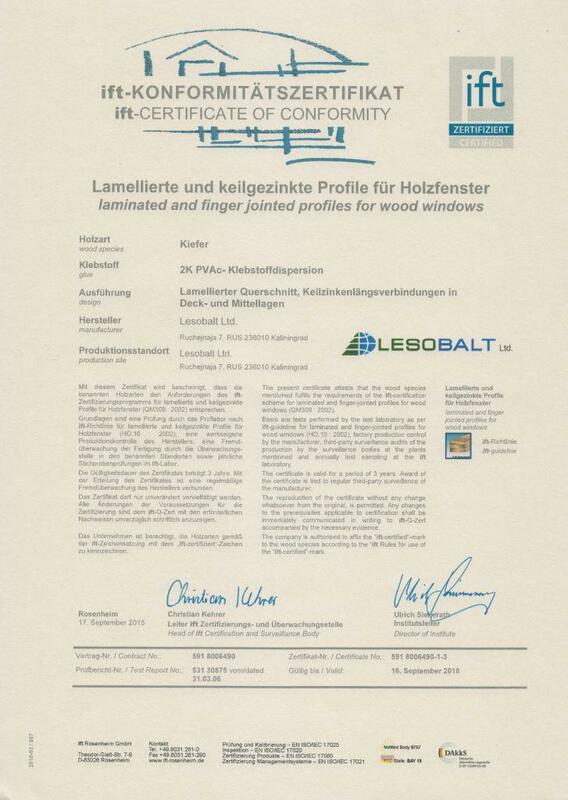 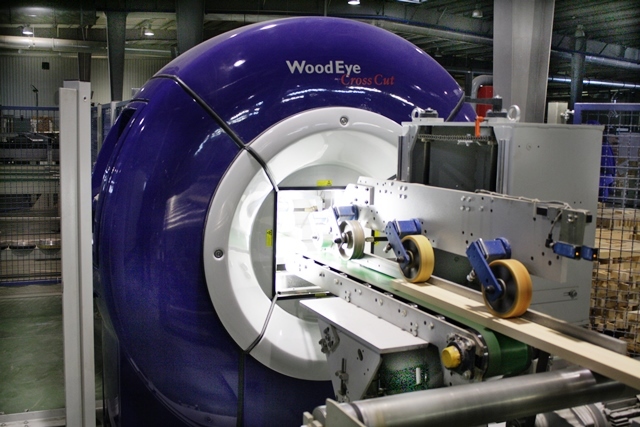 Lesobalt LLC sawing and woodworking complex (Kaliningrad region) the first in Russia has received the certificate of the German Institute for Window Technology «ift-Rosenheim», Rosenheim, Germany. 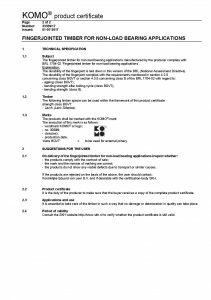 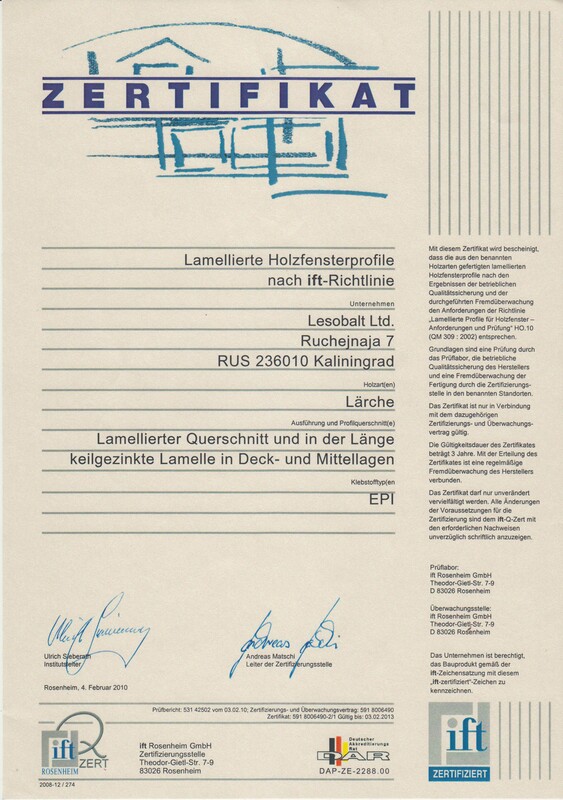 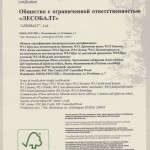 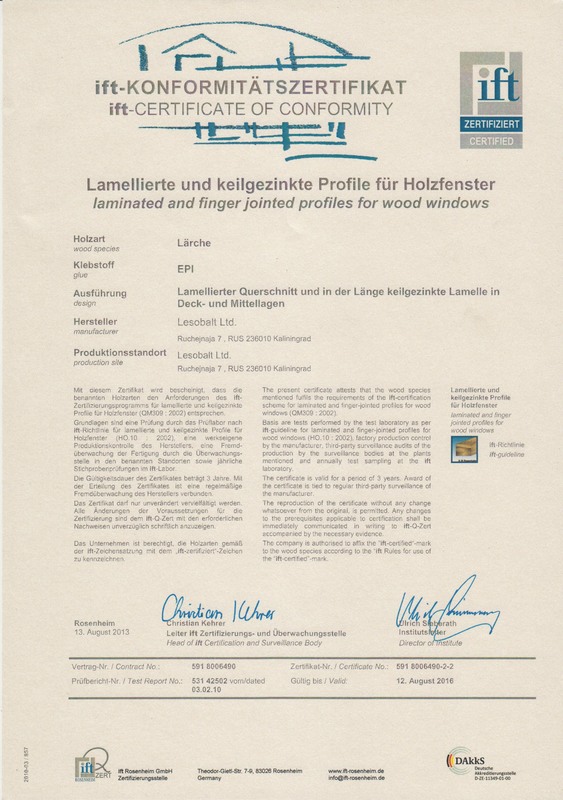 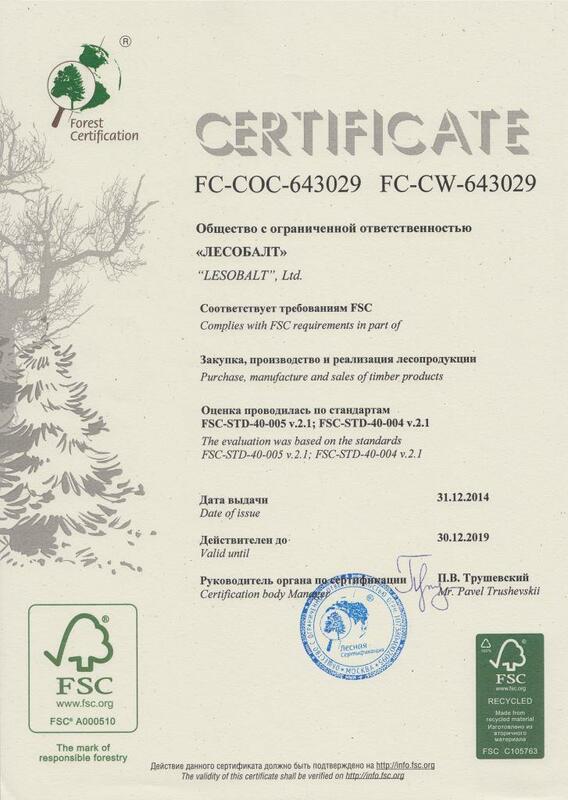 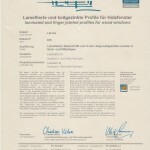 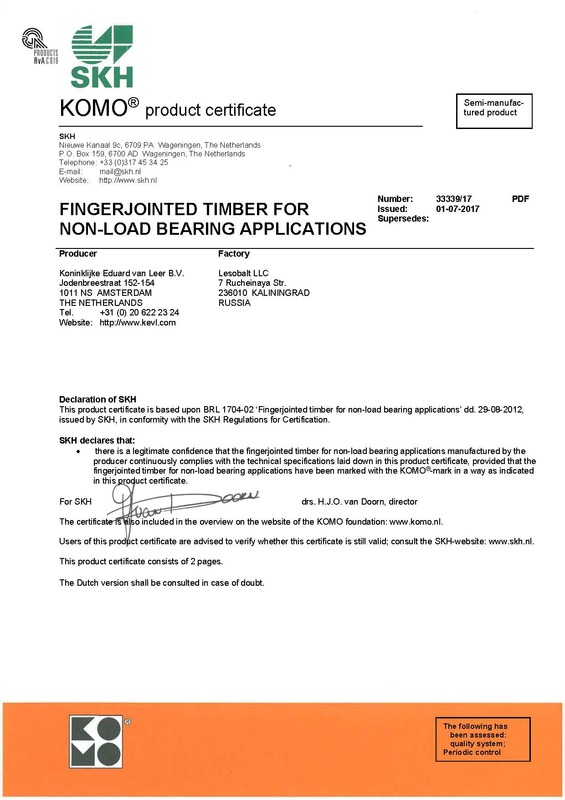 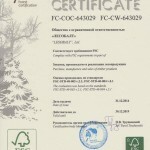 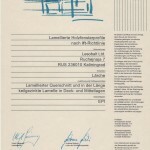 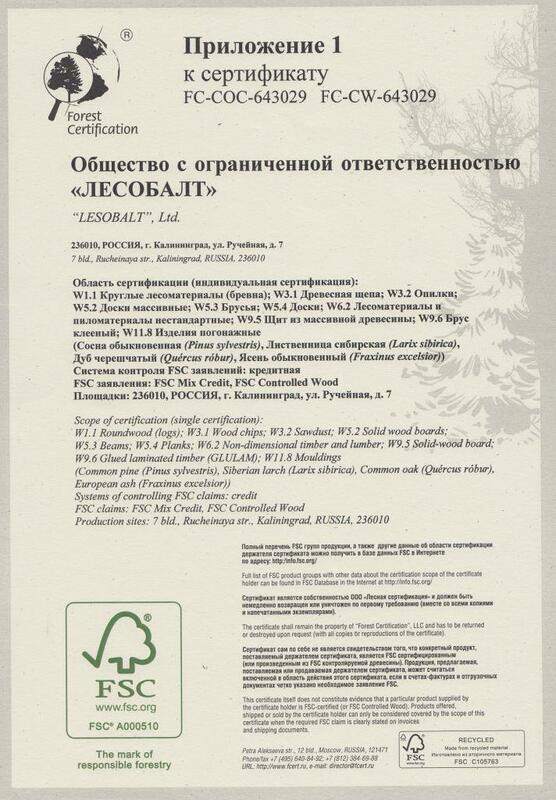 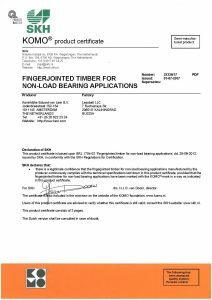 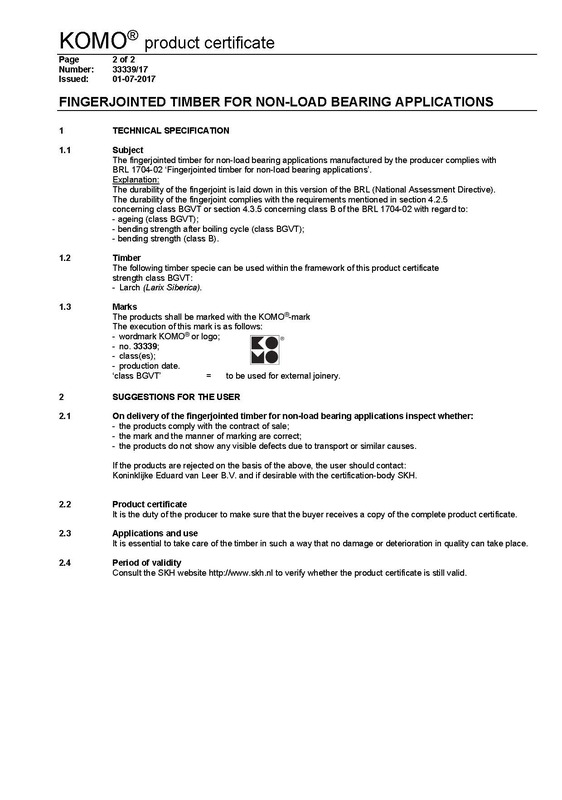 As the press service of the company reports, this certificate shall certify that the products of the company comply with the requirements of the European Directive “Wooden layered profiles for window frames – Requirements and control» HO.10 (QM 309:2002). 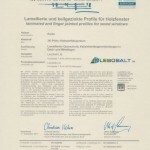 The decision on the certification of Lesobalt LLC was made based on the results of the supervision of German experts of the quality management system in production, and after successful completion of testing the samples of the finished products at the head institute «ift-Rosenheim».